An authority on image, author of Image Matters! and co-author of #1 Best Seller The Law of Business Attraction and Executive Image Power. Of course, she's elegant and poised. She stands proud and tall and speaks clearly with a soft, gentle tone. She is President of the Honor Students program at the Saddleback College. She works full time as a Nursing Assistant and aspires to medical school and a future as a Pediatrician. And, she founded her own non-profit organization advocating across the globe for those less fortunate than herself. "Not so unusual," you might say, for a young woman living in posh Orange County, CA. "She probably had every opportunity, coming from an educated, comfortable home," you would think to yourself. And, you would not be farther from the truth. Lydia Natoolo is 34 years old, the youngest of her family's 28 children. She was born in Kasubi, a village in central Uganda. And, you could say that she is the embodiment of the line "What Doesn't Kill You Makes You Stronger." The vision of today's modern lady, indeed. Lydia's family could not always afford the grade school tuition. So, Lydia was in and out of school based on the family's ability to pay. Food, clean water and electricity were also available only when they could be afforded. Walking over five miles to retrieve fresh water - often without shoes - a phrase my grandfather used when describing his impoverished life in Russia over 100 years ago - was her reality. Since arriving in the US in 1999, Lydia has made it her mission to make a difference in her home country. She has actively lobbied Washington DC and various government offices as a voice for the Invisible Children, the child soldiers and those forgotten in the wake of unspeakable atrocities befallen her homeland. And, then in August 2012 she received a request. But, how could it be that in the 21st century, humans cannot find access to fresh, clean water? A friend asked Lydia to find a way to bring clean water to Atutur Hospital located in Kumi, the poorest district in all of Uganda, approximately 10 hours drive from the village where she was born. Atutur Hospital is equipped to serve 100 patients daily. The average number served on a given day is 450 including in-and-out patients. The hospital serves the local population of 250,000 with no x-ray or dialysis machines, one doctor who is also the surgeon, 3-4 children to a bed, and adults responsible for bringing their own sheets, mats and gloves, often laying on the floor or waiting outdoors in extreme heat or rain to be treated. In Lydia's research on water, she learned that 7 or the hospital's 8 water sources was contaminated. In many cases, a patient would arrive with one ailment and leave with 2 or 3 more. And, one third of the patients arrive with preventable diseases, provided clean water and safe conditions are available to care fro them. Such a story could quickly deteriorate from bad to bleak. However, that's not how a Lady allows the story to end. Lydia traveled to Atutur to witness first hand and understand how she could make a real difference there. The result was Lydia's vision - Love A Community, a not for profit organization that builds sustainable communities focusing on clean water, healthcare, education and micro finance, starting in her native Uganda. As Lydia shared, "Atutur Hospital may be a small, forgotten community hospital. However, when renovated and supplied with the proper resources, it will heal not only the body, it will be a beacon, an epicenter for hope and change. It will heal the soul." Love A Community's vision includes empowering the people of Kumi through education and job opportunities, mobile health and nutrition treatment and education for the rural areas. Like water, the new Atutur will have a ripple effect beyond the village walls. The African Proverb states: It takes a village to raise a child. In Lydia's case, It took the village to raise the child who has returned to the village to be blessed once again. The story of today's truly modern lady. 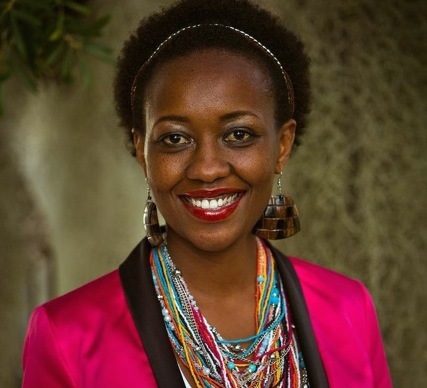 For those who would like to meet Lydia Natoolo in person, she will be directing a fundraising event: A Night to Unite - Atutur Hospital, in Orange County on Saturday, February 28. Readers can learn more at www.LoveACommunity.org.